How well is Elizabeth getting along without Jack during the sixth season of the When Calls the Heart TV show on Hallmark? As we all know, the Nielsen ratings typically play a big role in determining whether a TV show like When Calls the Heart is cancelled or renewed for season seven. Unfortunately, most of us do not live in Nielsen households. Because many viewers feel frustration when their viewing habits and opinions aren’t considered, we’d like to offer you the chance to rate all of the When Calls the Heart season six episodes here. *Status update below. 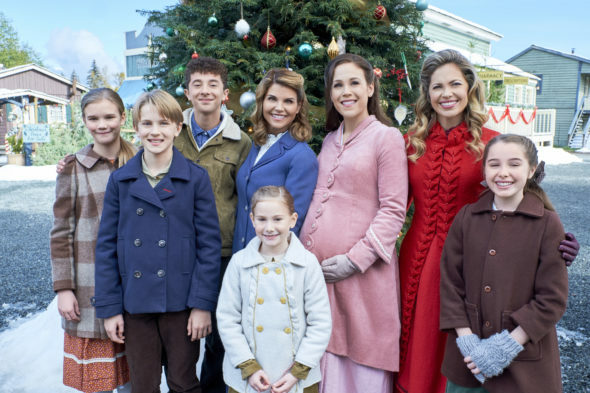 A Hallmark western family drama, When Calls the Heart stars Erin Krakow, Lori Loughlin, Jack Wagner, Martin Cummins, Pascale Hutton, and Kavan Smith. Inspired by the Janette Oke novel, the Hallmark TV series centers on Elizabeth Thatcher (Krakow), a young teacher from a high society background. When she is assigned to teach in a coal country classroom, her life completely changes, particularly when she meets Royal North West Mounted Policie Constable Jack Thornton (Daniel Lissing). Season six kicks off with the recently widowed Elizabeth Thatcher Thornton anticipating the arrival of Jack’s posthumous baby.